This series of three combined into one long posting together here was written last year right before Passover/Pesach in the Spring of 2013. The story is relevant now, but the time references are from last year. 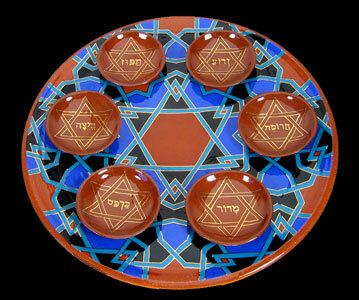 I have also been preparing for Pesach right here in real time this year. “It’s a small world after all.” That was my favorite song when I was little and I guess, in many ways, it still is. As I rush around getting ready for Pesach (Passover) and also for a trip to Spain and Morocco WAHOOOOOOOOOO! I’m a little bit more crazy than usual. And, I am trying to ride the WAVE of this time, rather than get smashed by it. This journey I am going on with our son Ethan is through his school, the Northcoast Preparatory Academy. When I heard about this trip I told him, YOU ARE GOING! Then he asked me to come along. What’s money anyway? Who needs it? So, despite the cost and the challenges I decided to come along. My mother and my step-father graciously offered to help and since this is a once in a lifetime opportunity for me with my sixteen year old, I am on board. My husband also felt that it was of great benefit and supported the choice. Well, my father illegally crossed the Straight of Gibraltar as a young man on a fishing boat under a tarp of fish. He was with one other young man, they were both fleeing Nazi-Occupied Morocco to join up with the Free French Forces who had a large fleet ship in the port of Gibraltar. My father made it to that ship and joined the Free French Forces. He emigrated to this country after the war and that’s how I got here, although I was born in Paris. My father will turn 90 in Paris, while my sixteen-year-old son plays an Islamic Moroccan immigrant in a show in Barcelona. How could I not have my son be part of this story about crossing the Straight illegally and going to Marrakesh and Barcelona? My father’s family lived in Morocco for over 500 years, it is only in his generation that they left Morocco. Before they left Morocco, they were in Spain, and before that they lived in the Holy Land of Ancient Israel and Palestine. I have one Uncle still living in Morocco, my Uncle Maurice Cohen, whom everyone calls Bébé (which means baby, since he was the youngest). My Uncle Bébé is now 86. He was a Moroccan tennis star when he was younger. Another small world connection, Ethan loves tennis and is currently number two on the “ladder” at his school. 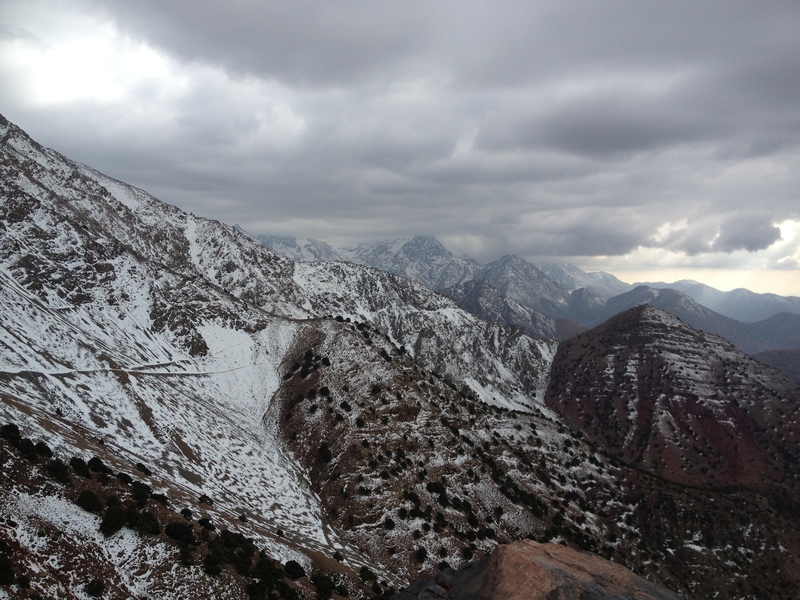 We will see my uncle when we go to Marrakesh, he lives in the mountains about two hours from there. It feels absolutely monumental to me that I am getting to have this experience, earth-movingly huge. I am crossing the globe, this small planet with my son, flesh of my flesh of my father’s flesh, of his parents flesh, etc… back to our homes from not so long ago and from VERY long ago. Our family stories cycle in many many ways. This particular circling is one of choice and joy and yet, I can’t help but be thinking about all the folks forced to flee their homes seeking a better life or respite from war, famine, and oppression. My own life has been one of abundance and love, with plenty of hurt and mess too, but not because of oppressive governments, war, religious intolerance or grueling poverty. 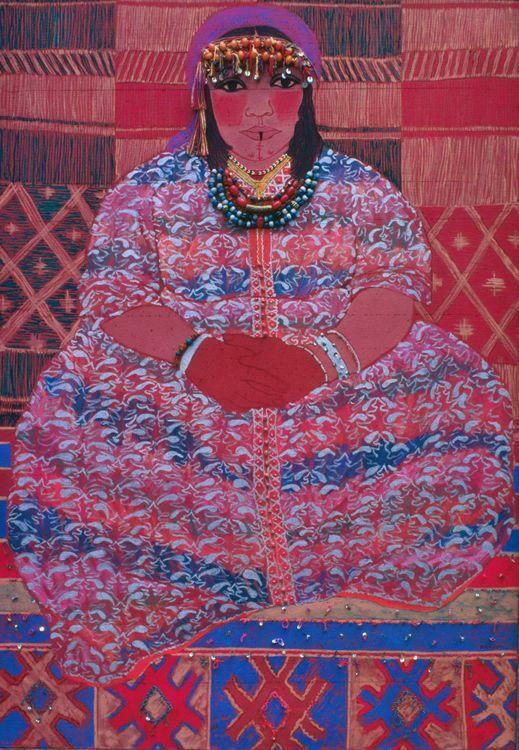 The story of my people is one we tell every year in the present tense, never in the past. As long as there are people oppressed and endangered the story of fleeing oppression is not over. My son accompanies me on this journey, where he plays an illegal immigrant, a man torn in two by his need to connect with his people, his family and his home in Morocco and also a man who loved a woman and hoped for a different life. The character named Hassan is forced to confront his story on the freighter amidst great turmoil. He’s been living a life of lies with his Parisian wife and the story unfolds on stage and in real life, every day. So, as many of you sit down for your Seders or celebrate spring in all the various ways we do in this country, I hope you will remember that the story is not over. Our re-telling and remembering must be followed up with ACTIONS to make this whole small world a place of peace, justice, kindness and goodness. A place where the flavors, colors and tastes of home are not forfeited as the price for the possibility of living with dignity and hope. Isn’t it time, really time, now to see everyone on this planet as members of our own family and to embrace them, not shun them, for their differences, languages, practices, gifts or wounds? It’s a small world after all. Nicole will be winging her way to Barcelona and Marrakesh as you read these words, she will try to pen some thoughts while in the lands of her ancestors, and she sends you wishes for sumptuous feasts around your tables, with room for guests unknown and perhaps who don’t have home, but who might find it at your table if you invite them in. 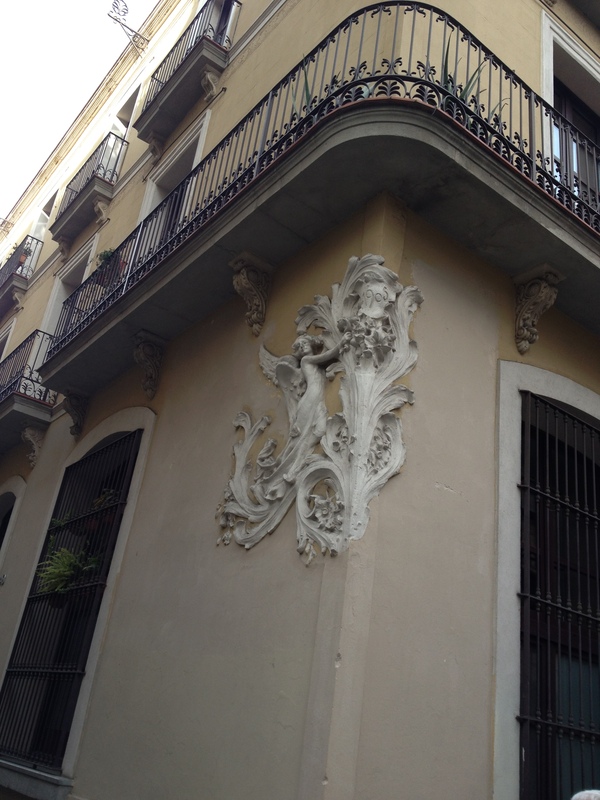 The picture here is from a building on Calle Perla. My grandmother’s name was Perla, my Sephardic grandmother. I am surrounded everywhere by the history of my family. Every street feels familiar, every balcony seems like it could have been mine. The city feels like a friend, someone I had to leave behind but who never really changed. Today I went on an Orange Donut Tour with Lisa, the other Chaperone on this trip and my friend Shullie’s parents Rona and Bernard. I am at the Ristorante Compostela waiting for them because I just couldn’t walk much further. City life is all about walking, walking, walking. Walking is wonderful and my weight and feet make it hard for me to do everything at the same pace as thinner, more determined to see and do everything folks and also all those younger folks. I love the neighborhood where we are. Each quarter or area has its own flavor and energy and unique character. There are currents here that, like in a fast moving river, you cannot always see or be aware of in advance and that catch one unawares. The whole Catalan vs. Spanish issue here is huge and I don’t know the signs of who is who yet. So, for example, I have been trying to learn and speak as much Catalan as I can, really just Thank You and a few other words. Thank you in Catalan is different. It is moltas gracias (spelling phonetic, no idea how it is spelled in the actual language). So, while I was at the Ristorante Compostela, which was not in Gracia, where I am for the most part, but which is in the Gothic Quarter, where the Cathedral of Barcelona is and where the Pope stays when he is in town, I said “Moltas Gracias.” The waiter looked at me like I was vermin practically. Clearly, I had left Catalan without knowing it. I did have the best coffee (cafe con leche) of my life there though, so I guess I can handle the look. Actually had two, ’cause one just wasn’t enough. It is 5:05 a.m. as I write this, sleep is complex here as well. I am in the home of a single mom, Belen, who has rented out three of her rooms to guests from Airbnb. The others here are the other mom Lisa, who is a chaperone with me on this trip, and two German Opers who look to be in their early twenties, perhaps. They are sharing a room. It is great here and for $32 a night, completely unbeatable. The toilet is a tiny room, with just the toilet, and no room to really pull your pants down though, so you kind of have to have the door open a drop to get that part done, then sit down and close the door to do your business and then vice-versa on the way out. And, this is not because I am big, the space between the door and the toilet is about five inches and the word water closet describes the space pretty accurately. The flush handle is the old fashioned pull down kind. The tile in this place could be hundreds of years old at least, the flooring is all tile. The shower is outside in a small room but is magnificently hot and strong. The stairs up to the bedrooms are about six inches maybe wide, so I have to put my feet sideways on them to get down and brace myself on the walls as I navigate the twisting small steps. I will fill in more about the students next time, but wanted to get this off to those of you following me on this adventure. Today, I will accompany the children for their presentations at the host school here as they talk about Arcata and NPA in the English class at the IES school here in Gracia. Then, Ethan’s host family has invited me for lunch, which is called diner at 3, which is when they eat that meal. What we call dinner is eaten around 9pm. MOLTAS GRACIAS for accompanying me on this journey, in your hearts, wishes and thoughts I feel supported! Big Love from the Casa de Belen y Mario (14 month old angel who is the baby here). I am sitting at the Vegetarian Indian restaurant not far from where I am staying in Gracia, Barcelona. I slept until 12:41 today and I needed it. The last few days have been very long and very intense, full and wonderful as well as a little too rushed for me. We leave tomorrow, for Marrakesh, and from the moment we landed it has been a running at full speed kind of experience. The kids especially have been put to every imaginable test and are rehearsing for their play, interacting with new families and experiences and foods while adjusting to life in an ancient and large city with thousands of people on the streets. It is about as far away from Humboldt as one can imagine. The show last night was phenomenal and I only regret that my technological acumen is shoddy and hope that between Marceau’s camera and my ipad mini I managed to capture most of the play. I have yet to see if any of it came through. So, today, Saturday morning, which is Shabbat, no matter where I am, required a slower pace and I guess those extra hours of sleep guaranteed that. Best moments are so plentiful for me here, to put it in Rabbi Naomi Steinberg’s language: “this celebration is in the top 5,000,” a reminder that we shouldn’t rate joyful or prayerful moments. Very hard to do. Comparing and rating are easy to fall into. Being in the moment with exactly what is going on requires something different from me. When I allow the present to flood my being and stop focusing forward or backwards, true magic occurs. Friday afternoon, was just such a moment. I took a brief siesta on the sofa of Ahmed and Mireia before the small Shabbat I was going to observe before the show in the evening. Ahmed is the playwright of the Sheep and the Whale and together with his wife Mireia they are Jiwar a residence for artists that hosts workshops and creates home for folks to come and be creative. Their house in the center of Gracia in Catalonia was our home away from home, complete with a lovely garden courtyard. I should say that the whole endeavor wouldn’t work without the help and support of Mireia’s parents also, because in Spain, la familia is part of everything. So, the two small sons of Mireia and Ahmed were often there in the home or hanging with their lovely grandparents and the whole endeavor runs better because of this extended family that is not an anomaly, but the norm in this part of the world. After my tiny siesta on their sofa, I prepared a little Shabbat moment for us on their table. It was a first Shabbat moment for them. Ahmed, my new Moroccan brother and Mireia, his Catalunian wife and my new sister. These two folks, immediately felt like my family, the nicest, warmest best folks ever. I want to be part of their family forever and hope for many years of connection to all of them. While Mireia and Ahmed were on their computers, I made myself at home in their kitchen, something I do in most homes I enter. I found some salt and located a small bowl from their china cabinet. I had brought some wine and some bread and arranged the flowers I had given them and finally I set out the candles. I invited them to join me and unfortunately, at first, we all regretted that it was just the three of us. We wanted the kids and the grandparents there. But, as it turned out, I couldn’t get through any of the prayers without crying and there were tears in everyone’s eyes. I am not sure if this would have been the case with a fuller cast of characters. In the play that Ahmed wrote and Ethan and his classmates performed, there is a line about Europe and Morocco having had bread and salt together. This line kept playing in my mind and I reminded Ahmed of it. He said, he had never had bread and salt together like we were and that this line in his play, written over twenty years ago, came from some memory inside his being, but not from his actual having lived it. This exact moment we shared together on Shabbat eve, was the first time that his internal tribal kind of memory experience and this actual living present moment came together and made a new kind of sense. 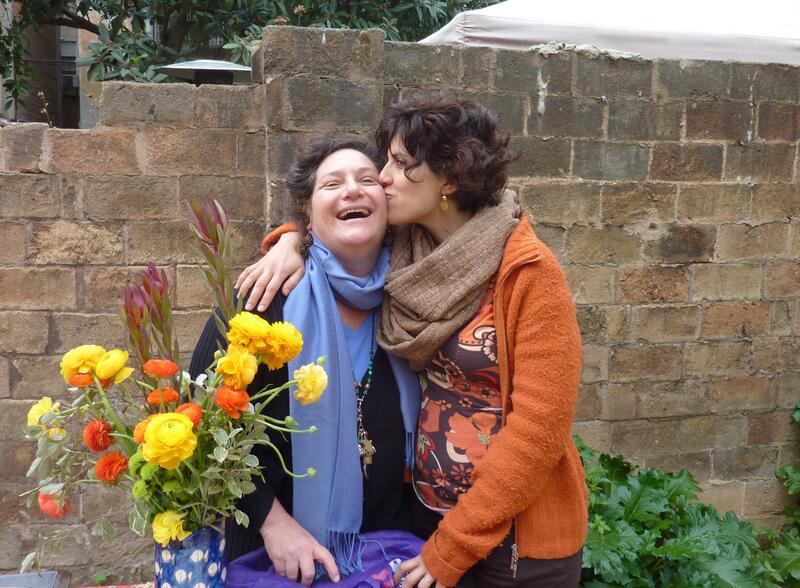 Europe, America and Morocco, Christian, Jewish and Muslim all breaking bread together with flowers, wine, salt and olive oil. The water for all of us, was our tears and the warmth flowing through our hands and hearts in hope and shared companionship. I long for these moments in my heart all the time, with everyone. The times when barriers completely dissolve around a shared table. When the conversations, tastes and flavors of our lives all become common and precious and the feeling of family is palpable. I hope you will all find ways to break bread and salt with anyone you encounter and especially those you imagine might be other than you. The more we sit around each others’ tables and share our lives, the smaller and more whole this aching and wounded planet becomes and the task of mending all the brokenness becomes as doable and perhaps as simple as sharing a meal. The View from the terrace at the Riad Spa Luxeux Bachawya. 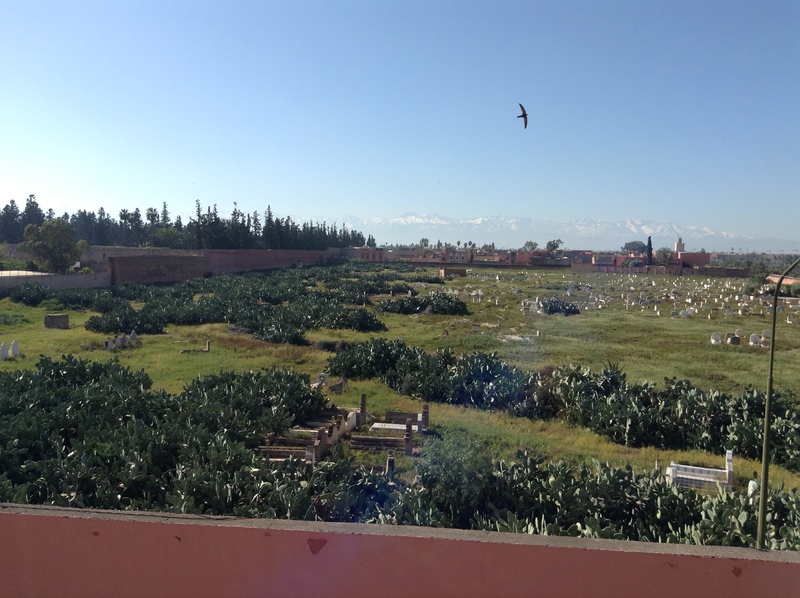 So, this is a cemetery across the street from where I am staying in a home that is over 1500 years old and that was the home of Moroccan royalty. My first day in Morocco so full already and now I am home and resting. It is 6:16 pm my time as I write these words. I put my friend Arik Labowitz’s first CD on and I will try and put down what is in my mind and heart while I listen to his divine Hebrew and the flute of his music mate Maxine. After taking the taxi from here to downtown Marrakech and finding Ethan and the other NPA students along with their host families at the American Language Center, I walked from there, about twenty minutes to find my Uncle BB. He was waiting for me at the McDo (McDonald’s) across from La Grande Poste. There he was looking very young for 86, thin as ever with his very large nose, the nose of my grandfather, the nose that identifies one as a Jew, even if practicing Judaism is the last thing on your mind. BB, like my father, has no interest in his Judaism. BB and I walked to his car, parked about five blocks away, an old blue chevrolet. 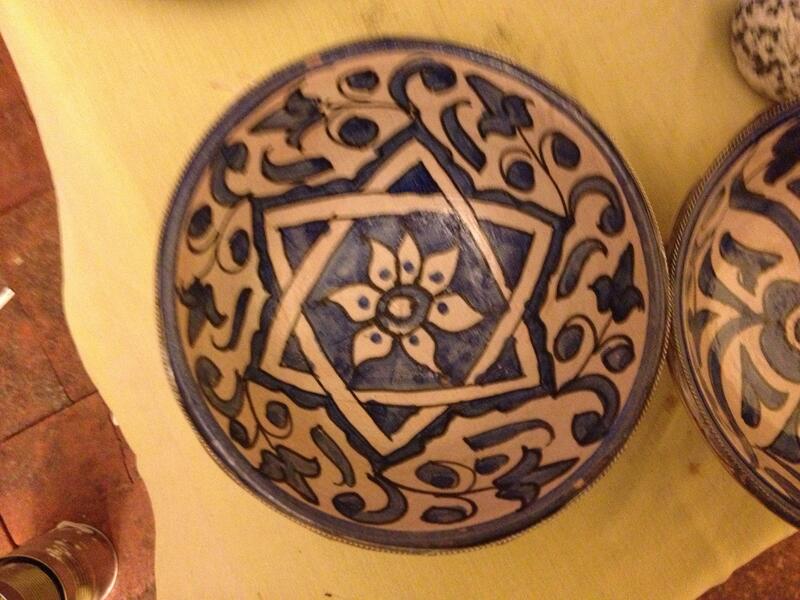 He took me on a long drive into the mountains to get the “best tagine” in Morocco. It was very good. I do not have much to compare it to. What was the best was just being with family. My ties to family are beyond description and this is something all of us know, or should know. A feeling of complete home that emanates from the connection. In Spain and here as well, folks are “chaleureux.” This word does not translate well, it is more than being warm, it is being hot and friendly and warm all combined. Warm, just doesn’t communicate the feeling. Everyone holds hands, hugs, kisses, and is physical. There is a palpable heat that is from connection, not just from the sun. It is so different from the colder world of the United States. I feel so at home here, I am not an anomaly here. My size, largesse of expression and behavior as well as of body is just fine. It is pretty wonderful to not feel other and of course I am other. I have a very different life that what most folks do here. BB kept referring to himself as gatté, with an accent on that last “e”. This means spoiled. We spoke of many things and he is more like a young boy than an old man in his eyes and in his expressions. He has no children, but many friends. His wife of 40 years died not too long ago and so he speaks of her still very much. It has been many years, but she is still present for him. He told me about his piano playing, something I had no idea about. It turns out that Ethan and him will have so much more in common than just a blood tie. Ethan plays piano and tennis and has some of BB’s last child qualities, a well-taken-care-of-ness. It is a kind of ease that comes with being the last baby around. As a mother, with Ethan, everything is precious, every moment there is a sense of “this is the last time.” Perhaps this is true for all last children. I like comparing them in this place and time, even though, they are also very different. I am going to go lie down now. Just wanted to get these few words off to those of you wondering about how I am. Tomorrow, Ethan and I will leave NPA here and go off with BB to his home in the mountains for an overnight stay with him. Every single hour here is packed with more feeling and emotion than I can possibly convey. It will take me many months to capture any of this in depth. I am grateful for the stream of consciousness style writing that flows easily for me. I am also wanting to spend time with each feeling and thought and that is something I cannot do here. Everything is on full speed ahead and I am already aware that by this time next week, I will be flying home to California. Thinking about serving, serving the Divine, serving others, serving family, serving a meal, being served and encountering a servant. While I was in Morocco this last April, I met Omar. Omar is my Uncle’s servant. There is no easy way to say that. The word itself is primed and full of meaning. It connotes both positive and negative things for me. My first encounters with servants were in Morocco as a child. My grandparents’ home had three full-time servants; Hassan, Sadia and Fatimah. Sadia and Fatimah did the cooking and the cleaning and my grandfather was tended to by Hassan. Nicole serves herself by writing to you from her home in Bayside, where she has a lot more to say about serving, but she’ll keep you on edge, waiting for the next installment in her Spain and Morocco narratives.